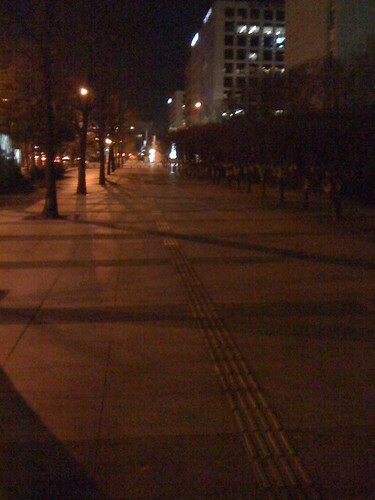 Tonight, 14th Dec 2009 is the coolest night I ever spend in Korea and in fact in my life. Heard that it will expected to snow again soon..I receive a message from my previous boss, Mr. HK Lee who left our branch 2.5 years back inviing me out for dinner. At first, I hesitate for a while as I wasn’t feeling well with some food poison and coughing issue. However, he insist for a dinner and we went to nearby Korean restaurant. We had a very good chat and laugh over the past few years memory. Those are the challenging days for us. Yes, I still remember the time we setup Japan Team, the effort from the team, the commitment we had. It was tough but everyone gave 110% of their best to the team and the company. The golden time I would say….and of course for Mr Lee, it was one of his best memories…He kept telling me tonight, “ooh, Edwin, you know, you bring back all the sweet memories of Port Klang.”. yes., Mr Lee, not only you, I felt the same too….. and I feel so warm of his hospitality and sincerely feel great on his latest achievement in his career…. after the dinner, he wanna to bring me to down town, but it was too cold, and I politely rejected his offer and heading back to hotel. 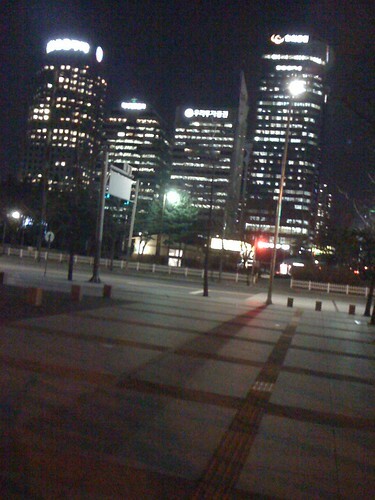 Yes, it is the coldest night I spend in Seoul, i could feel the pain of my ears exposed under the strong wind (yes, i still yet to get any jacket from any shop..) but it is also the warmest night for me in Seoul….I miss home….Edwin, signed from 4601km away from home….